The BeatBuddy Is Truly Amazing! 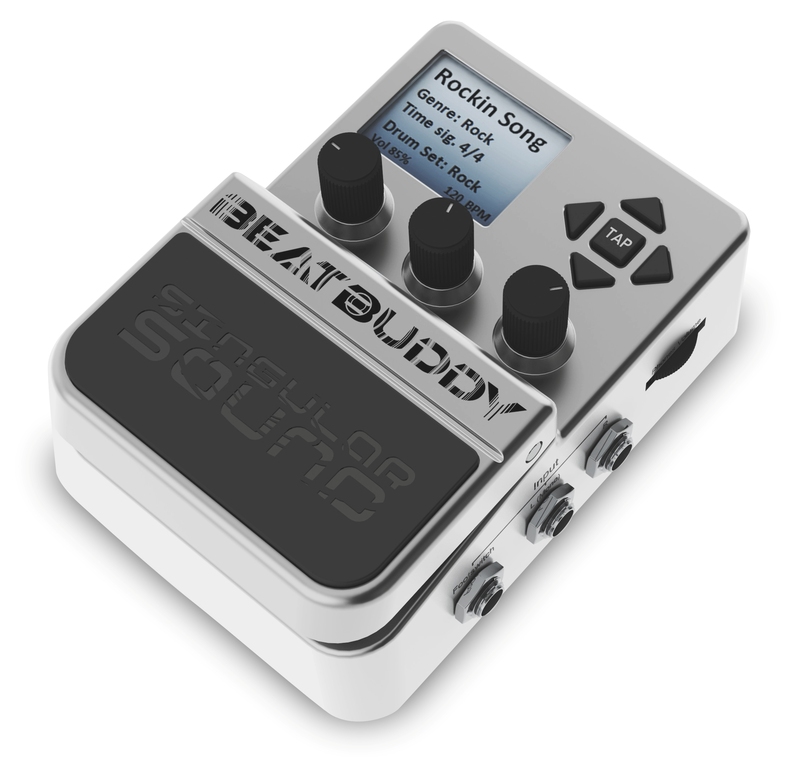 Quick note: You can still get a BeatBuddy for $199 if you join the crowdsource campaign by February 4. After that the unit will retail at $399. For more information, go to mybeatbuddy.com. I introduced the BeatBuddy drum machine pedal several weeks ago and have provided regular updates on this incredible device that I believe will completely shake up the market once its released and people have started using it. Originally, I didn’t pay too much attention to its extraneous features other than the MIDI sync – I want to use it with a sync-able looper – but when considering all the features that come with the pedal itself, it’s more of a drum machine “system” than just something you plop on your board. You can certainly do that, and admittedly, once I get mine, I’ll forgo all the peripheral stuff and just gig with it. For my solo gigs, I can see setting up a folder with 5 or 6 songs set up specifically for the tunes I play in my gigs. With the optional foot switch controller, it’ll be easy to choose the song I need, then just go to town. But if I have special requirements (like for my own songs that I perform), I can use the software to create a custom song, then store that in the list as well. I can even add my own 16- or 24-bit WAV content myself! So the BeatBuddy isn’t just some single-dimensional drum machine playback device; it’s a full-on system that will change the way you approach your performances. I was just thinking that I could use the BeatBuddy with my church band when we don’t have a drummer. Now THAT would be totally awesome. It would be a bit tricky to train all the musicians to follow the BeatBuddy, but I think with practice, we’ll be able to really rock it up! Here’s another instructional video the BeatBuddy guys put together to demonstrate how you use the unit and navigate through its menus, plus using a dual foot switch for added control. This thing is absolutely easy to use!!! To follow and get regular YouTube updates, go to the MyBeatBuddy YouTube page. As I alluded to above, I think the BeatBuddy is going to turn the market on its ear. How it didn’t win a NAMM “Best In Show” award is beyond me. But looking at the list, it’s mainly mainstream manufacturers and some obscure ones. That’s too bad, because if this unit gets into big box retail stores, it’ll sell like hotcakes; of that I have no doubt. Everyone I’ve been talking to about this unit wants one. Oh well… maybe they’ll get the award next year. In any case, if this is your first time hearing about this amazing device/system, check out their site at http://mybeatbuddy.com! And just to be clear, I’m not at all affiliated with the BeatBuddy guys, but the BeatBuddy holds so much promise for me that I can’t help sharing my excitement! No, the artist is not a big name. In fact, he seems to be a lot like me – just a simple solo artist. And that to me is a much more useful demo as opposed to a big name who’d probably only use it in the studio. With Fernando Perdomo, the artist doing the demo, it just feels more real to me because he’s a guy that I imagine would be truly using the BeatBuddy in a variety of venues. Mind you, the demo is not just some guy performing a song. Singular Sound, the makers of BeatBuddy, also have an inset frame that shows what Fernando is doing during the song. This could even be used as an instructional video. I dig what he says at around 4:30 where he asks, “How many great guitarists have you seen that are really great… but they have no rhythm. This is a rhythm trainer…” That’s a really important point that he made. I’ve played with and mentored several young players over the years who’ve got chops that are far more advanced than my own humble chops. And one of the first things I’ve had to teach them was how to maintain their tempo. The BeatBuddy is perfect for that because the tracks are complete songs, not just single loops. So what it’ll help train is maintaining a good tempo in response to changes in a song. I can’t tell you just how invaluable that is! 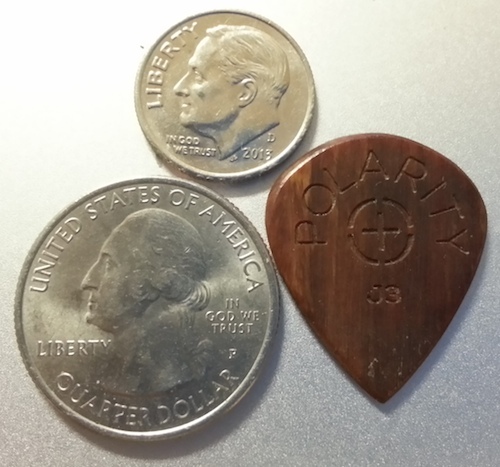 David Packouz (Founder) contacted me this morning to say that they will be at NAMM. If you’re going to NAMM this year (I’m jealous if you are as I’m working), the BeatBuddy guys will be in Hall E, Booth 1285. I have to tell you that if I was going to NAMM, this is the first booth I’d go to because of the impact I foresee it will have on my solo act.